WASHINGTON (Reuters) - The United States has sued Lockheed Martin Corp, Lockheed Martin Services Inc, and Mission Support Alliance LLC, as well as a Lockheed executive for alleged false claims and kickbacks on a multibillion-dollar contract to clean up a nuclear site, the Justice Department said on Friday. The complaint alleges Lockheed paid more than $1 million to Mission Support Alliance executives in order to win a $232 million subcontract for providing management and technology support at the Hanford, Washington site from 2010 through the middle of 2016 at inflated rates. It also says the defendants lied about the amount of profit included in Lockheed's billing rates. 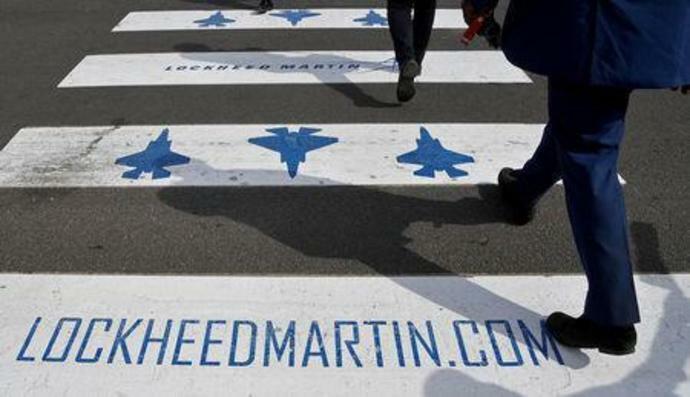 A Lockheed Martin spokeswoman denied the allegations, saying the company "rejects the suggestion that the corporation or its executives engaged in any wrongdoing. Lockheed Martin will defend this matter vigorously." At the time, MSA was owned by Lockheed Martin Integrated Technology LLC, Jacobs Engineering Group Inc., and Centerra Group. It awarded the subcontract to Lockheed's technology group without competition, according to the Justice Department. The large 586-square mile Hanford nuclear site in southern Washington, established during World War Two to produce plutonium, is considered the biggest environmental cleanup in U.S. history. It is administered by the Department of Energy, Environmental Protection Agency and the state of Washington. Despite the end of special counsel Robert Mueller&apos;s inquiry, President Donald Trump and his businesses face probes by the feds, New York and Congress. When the report is released, close attention will be given not only to potential new details on the Trump campaign, but also on how much is withheld. WASHINGTON (AP) - The special counsel's Trump-Russia report will be out on Thursday for all to see. But not all of it.